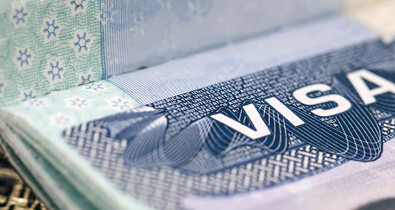 When will I receive my eVisitor ETA VISA permit? Both eVisitor visas are usually issued swiftly; however, there can be a processing time of 2-10 days in exceptional cases. In extremely rare cases, an application for an eVisitor permit to enter Australia may be rejected. These rejections are, however, justified in writing by the Australian authorities. In these cases, we recommend that you contact the Australian embassy in Berlin directly. What are you allowed to do in Australia as an eVisitor? As a tourist or business traveller, you are allowed to travel within Australia without restrictions for a maximum period of three months. The eVisitor permit is valid for one year. Repeated trips may be made to Australia within this period. The Australian authorities also allow eVisitors with a Tourist ETA Visa to participate in volunteer work as long as it is unpaid (except for food, board and negligible pocket money) and does not endanger or replace the fully paid job of an Australian citizen. Australia ranks as a liberal country, as long as its laws are respected. Visitors may not engage in unauthorised work, studies or training in exchange for money and not for longer than three months. Valid travel documents for the entire duration of the trip. Passports and temporary passports are recognised. Children require their own passports. Identification cards and temporary identification cards are not permitted. If you intend to visit Asian countries during the course of your trip, please familiarise yourself with the specific regulations, as some countries stipulate validity of up to six months for foreign passports. Australia has very strict entry and quarantine regulations. Body scanners are likely to be used upon entry at a number of airports. Imported food, animal and plant products must also be indicated on the arrival card. We recommend that you follow instructions closely, in order to avoid unnecessary waiting times and aggravation. Respect the laws of the country. As mentioned, Australia is a liberal country, as long as you follow its laws. Illegal activities such as violating visa stipulations, exporting cultural treasures or importing illegal substances can lead to deportation or even a prison sentence in Australia. What countries can use the eVisitor for Australia? 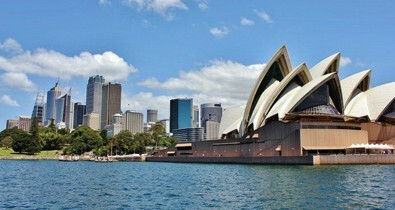 Eta-australia.org is a non-government service provider to apply for ETA Visa. Here you can receive the ETA entry permit and make use of our services. Every application is checked and processed by the english-speaking member of our support team. This will enable you to enter Australia without any difficulties, e.g. formal errors. If you apply for your ETA via us, the authorisation will be valid for 12 months from the date of issue, or until your passport expires, whichever comes first. If you lose the ETA registration number you can retrieve it free of charge for a period of 12 months. You can also use further services. This service costs 32.40 GBP. You can also fill out your application at your own risk at https://www.eta.immi.gov.au. However, please note that in the case you will not have the real-time support of a member of our support team and there is a risk that you could make incorrect submissions. You have questions about your visa? Specify data and request a callback! And there must be more text here! Maybe a little more?